Obviously, there are also challenges exist in executing the smart contract like doing errors in the code that could result in unintended consequences and vulnerabilities exploited by third parties. Hence, coding every possible solution of the business transaction could be an almost impossible process because some results may not be known or executed. In earlier days, traditional contracts or physical agreements are made with intentional flexibility, allowing for human interaction or judgment during the execution of the contractual agreement. Flexibility is difficult to automate, so these smart contracts may be a tough situation for the developers to execute. Basically, off-chain events may be difficult to plan for and difficult to program into a smart contract. For example, a rental agreement for a beachfront vacation may be set to self-execute based on the date and time of the rental agreement. But what if a natural disaster severely damages the property? It is no longer inhabitable, but the smart contract executes transferring the rental fee from the renter to the property owner. 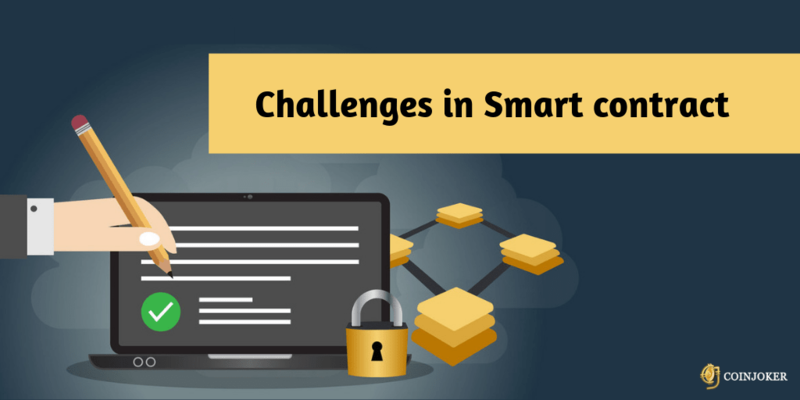 As with other blockchain applications, the lack of standards defining best practices for developing smart contracts is one of the biggest challenges facing the technology. Oversight does not exist on a global or more local focus, with much debate about how, or if, governments should be responsible for regulating such contracts. And, arbitration standards do not currently exist for handling smart contract disputes. Smart contracts use blockchain technology and create an effective impact on businesses and their transactions. This smart contract has the potential to fill several areas of financial sectors. Business financing - Getting finance for a small business is a tough process. Thus smart contract will help your small business in case of financing. Peer to peer transactions - This is the most exciting factor of blockchain that provides an opportunity to drive the truly global economy. Reshaping banking sector with smart contract - The traditional method of financing involves physical documents which can delay and have a risk of frauds. Smart contract overcomes this issue with computer coded agreement. Insurance - In the conventional method of contracts the insurance processing fees will be high, Smart contracts act as a solution to avoid such circumstances. Automation and no intermediaries - several banks and the financial process can be done automatically with the help of these digital contracts without the involvement of any intermediaries. Thus smart contract as whole acts to be the best solution for paving security, efficiency in many of the process under the financial sector or in businesses. However, if you are doing any business and wants to induce blockchain technology in it then it is best to hire an expert team of blockchain smart contract developers . Get your business up & running in no time with the help of our smart contract developers.